I took GMAT yesterday and scored better than what i expected. I am writing this debrief because other debriefs on GMAT club forums helped me a lot to strategize. I hope mine will help someone as well . Background: I have done B.Tech in mechanical engineering from IIT, Bombay. I am currently working with an oil and gas major. I have a work experience of 5+ years. I decided to take GMAT in September 2015, and took a date in December 2015. An interesting fact, I forgot my examination day as i was in the middle of a campaign at work. I thought my exam was on Sunday, but i got a reminder on Thursday that my exam was actually on Friday at 1 pm. I had a presentation to make on Friday from 2 pm with quite a wide audience. Thankfully, my boss let me slip that day to take the exam. I agree with you, it was not a very planned out effort. Preparation: I completed OG 15, Verbal review 2015 and Quant review 2015. I felt that the questions were not that difficult. I had pretty good accuracy as well. I took my first GMAT prep mock and scored 690 (Q-51,V-32). I bought MGMAT SC, RC and CR books and completed all of them. Then i took GMAT. 1. Overconfidence: Most of my friends had good score so i thought how hard could it be? That was my biggest mistake. 2. I did not take any other Mock exams. 3. I never timed myself during preparations. Exam day:After my goof up with exam day, i made it to the exam center in time. I did not have any issues with quant section. I was very confident of the answers i marked in quant section, while in verbal section i was hardly confident of any answers. My timing was also pretty bad with verbal, as i had only 6 minutes for last 10 questions. By the end of it, i lost all hopes of a good score. I scored 670 (20 less than my score in the Mock). I decided on the spot that i would take GMAT again with better preparation. My verbal score in first attempt was not what i desired, so i decided to focus on that. I did my research on GMAT Club forums and decided to take an e-course for the same. I took free trials of mangoosh and e-gmat, and finally decided on e-gmat verbal live prep course. I started with the course in first week of may. With time, i felt more and more confident of the answers i marked. I completed the course material in 2 month (end of June). 1. Sentence correction: e-gmat course, verbal review. The e-gmat process of meaning-error-choice analysis was amazing. Grammar theory was very concise, and solutions to questions were very detailed. There is one correct answer to any verbal question, so there has to be a way to find that out. 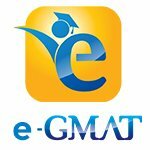 With e-gmat i realized that if you know the concepts, you can't make any mistake. I would recommend it to anyone who wants to increase his/her verbal score. 2. Critical reasoning: e-gmat course, verbal review. The pre-thinking process of e-gmat is amazing. Its so tempting to move to answer choices right after reading the passage, but you end up taking more time going back and forth. It needs some practice to get acquainted with the process, but it works wonders. 3. Reading comprehension: e-gmat, verbal review. The active reading process enhances your comprehension skills. You will need to practice it. Comprehension in single reading is very critical with GMAT. It applies to all question types: problem solving, data sufficiency, sentence correction, critical reasoning and reading comprehension. 4. Quant: I have always felt considerably more confident with quant. I completed quant review. To practice difficult GMAT type questions, i solved all 700+ level quant questions from GMAT club quiz sections. Solutions were detailed and helped me understand some important concepts. 5. e-gmat Scholarium: I practiced verbal questions from scholarium. Questions were challenging, but the best part was the detailed solution. I can't recommend it enough to people who want to improve their verbal score. Mock 4: 750 (Q-50, V-40)- a week before GMAT. Night before the GMAT i went for a movie and chilled out with friends to distress. For the exam, I kept 2 cans of red bull, 2 bottles of flavored vitamin water and protein bars. I reached center 30 minutes early, completed the formalities and drank half of first red bull. I completed AWA and IR with 4 minutes left. I took the first break and had red bull, vitamin water and a protein bar. I completed quant section with 12 minutes left. I was very confident of the answers i marked but got little worried as the questions at the end got relatively easier. I took my second break. I took 50 seconds extra in my second break that got me little worried. I completed verbal section with 6 minutes left. Question got easier the the end again, that got me worried again. At the end of the exam, i could literally feel my heart pumping while waiting for the results. I scored 760 (Q-51, V-40), which was better than my expectations. 1. Too many books and course materials will not do any good. Choose smartly and stick with it. OG, verbal and quant reviews are must. 2. Document the learning from each wrong question in your practice. 3. Once you get familiar with the concept, start timing yourself. Its compulsory. 4. ACTIVE COMPREHENSION: Ensure that you do not have to read a question again. Understand the question in first read. Make a mental map (logical structure) while reading. It will come with practice and will greatly enhance your speed. 5. Take your mocks at your exam time slot only. That will help in conditioning your mind to work at that time interval. 6. There is always 1 correct answer, so if you are not getting it there must be a concept that you don't understand. Learn with every mistake. 7. First improve your accuracy, then Improve your speed. You must be confident of the answers you mark. Originally posted by ryanoberoi on 15 Aug 2016, 00:43. Last edited by ryanoberoi on 16 Aug 2016, 00:49, edited 1 time in total. ryanoberoi -thank you for sharing your debrief. I am glad that e-GMAT could be a part of your GMAT journey. You must have done a number of things right to score 760 and to have completed both Quant and Verbal Sections with a few minutes left. 1. "Document the learning from each wrong question in your practice" - How did you document the learning? Did you have an error log that you maintained? How did this documentation help you? How much time did you spend documenting the learning. 2. "Once you get familiar with the concept, start timing yourself. Its compulsory" - How did you define familiarity? What did you do with regard to timing when you were still in the "getting familiar" phase? How did following this approach help you study better? 3. "ACTIVE COMPREHENSION: Ensure that you do not have to read a question again. Understand the question in first read. Make a mental map (logical structure) while reading. It will come with practice and will greatly enhance your speed." Similar question again - how did you change your approach to ensure that you comprehend actively? Were you in a dilemma while following this approach considering that you likely would have had to reduce your reading speed? How did you overcome the same? These details will help a number of test takers succeed on the test. Lastly, I want you congratulate you on scoring 760. It's an excellent score and with a competent application will likely help you take a good shot at any B-school in the world. This a brilliant debrief. It provides good description on the methodology to follow and the best practices.